Obesity is an epidemic and at the root cause of many chronic illnesses. Even being overweight can set you on a path of disease that can kill you. Fat causes inflammation, which leads to everything from Alzheimer’s, cancer, diabetes, heart attacks, joint degeneration and pain, stroke, and so much more. Developing any or all of these can be a costly, time consuming and painful endeavor. These illnesses can kill you or permanently change the quality of your life forever. People looking for a quick fix have chosen everything from fad diets, to fasting, to liposuction and even bariatric surgery. Fad diets can leave you metabolically worse, fat can return even after liposuction and bariatric surgery. Both of these are irreversible and can have serious complications that cannot be reversed or treated easily. Although controversial, the HCG diet can give you drastic weight loss with fewer complications. HCG is human chorionic gonadotropin, a hormone used for infertility in men and women. This hormone is made in high quantities during pregnancy and an observation was made that pregnant women burned storage fat, not structural fat perhaps as an effect of HCG. It is based on the premise that we store fat for times of famine. Bears eat a lot and get fat so they don’t starve during the winter months when food is not available. They live off of the fat they accumulated. 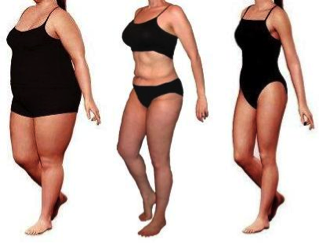 HCG can enable the body to comfortably mobilize this storage fat if calories are restricted. Let’s face it. We don’t face any famine in this country. Even the obese that eat very little may be eating nutrient poor, calorie dense foods that pack on pounds. One fast food meal or sugary drink can exceed half of your calorie requirements for a day. The HCG diet is a very low calorie diet. Very low calorie diets have been shown to turn on the longevity gene called the Sirtuin gene. Unpublished data had shown that it decreases Hemoglobin A1C, fasting insulin, and fasting blood sugar. All of these are markers for diabetes and insulin resistance. The HCG diet can cause drastic weight loss without experiencing hunger. Once your body recognizes it is not getting high calorie meals anymore, it will burn storage fat just like a bear does when hibernating. You can live off of your fat while eating nutritious food that is low in calories. People report not being hungry, which may be an effect of HCG. The other benefit is that it has been shown to preserve muscle mass, something that most other diets may not do. Muscle burns calories and preserving it can prevent regaining the lost weight. Under a medical professional’s guidance, HCG is an option to consider before resorting to drastic measures. A physician can assure you are getting pharmaceutical grade, full strength HCG and can screen and monitor for side effects. Contact a physician experienced in using HCG to determine if this is right for you.